This post originally appeared on March 15, 2019, in “Eat, Drink, Watch” — the weekly newsletter for people who want to order takeout and watch TV. Browse the archives and subscribe now. Welcome back to Friday afternoon. I hope that you’ve pencilled in some time this weekend to get reacquainted with your old friend the television. Here are notes on three shows to consider checking out before Monday: a Netflix favorite that’s back for a new season, a culinary competition stalwart that’s now ready to marathon watch, and a public TV winner. 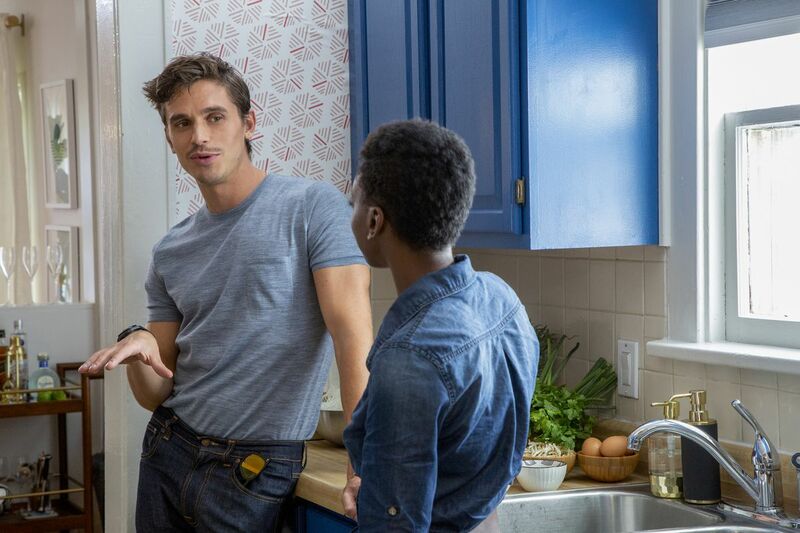 Netflix’s monster hit Queer Eye is back for another season of lifestyle makeovers — this time with a slightly tweaked recipe, designed to make you feel even more emotions. The members of the Fab Five — food expert Antoni Porowski, style guru Tan France, grooming maestro Jonathan Van Ness, interior design pro Bobby Berk, and general life coach Karamo Brown — filmed these new episodes in and around Kansas City last summer, just a few months after they collectively rocketed to stardom. Presumably, the success of the first two seasons informed these new episodes. To my eyes, there appears to be a lot more time devoted to Karamo’s work helping people exorcise their personal demons. In the four episodes I screened this week, most of these moments seemed genuine, but a few felt a bit stagy. I’m thinking specifically of a scene in the episode “Sloth to Slay” where an indoor kid named Thomas is instructed to build a tower out of milk crates representing moments of childhood trauma, and ceremoniously knock them all down. I got similar vibes in the episode “Black Girl Magic” when the young woman getting the makeover, Jess, tearful tells the Fab Five how they have changed her life, and Karamo replies, “You now know your identity — you now know who you are.” The bursts of pop psychology sometimes fall flat, but the show still has a lot of heart even in these slightly corny moments. A big part of Queer Eye’s initial appeal was that it over-delivered on its promise by being not just a makeover show, but a wildly entertaining, emotionally powerful lifestyle transformation series. While this new season still hits all the major notes, it feels a bit more methodical this time around. I’m still a fan, though, and am definitely looking forward to the forthcoming season set in Japan. All eight episodes of Queer Eye Season 3 are now available to stream on Netflix. 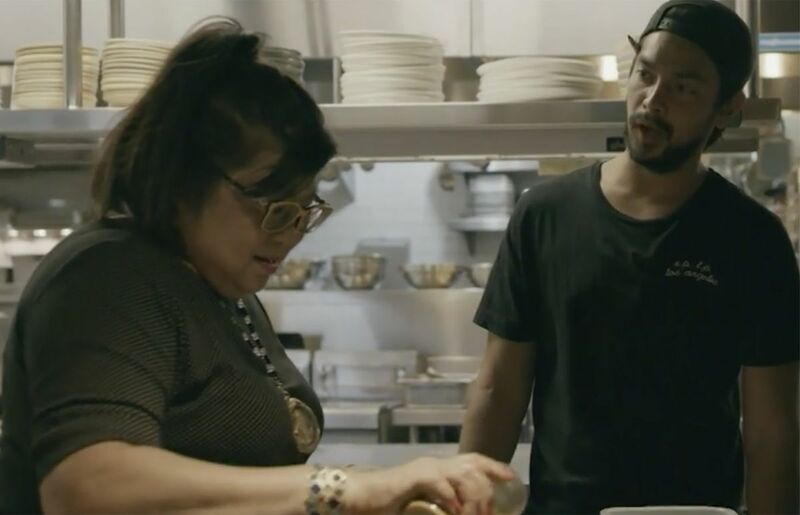 The gist: This installment of KCET’s terrific culinary profile series shines the spotlight on West Hollywood legend Jitlada, and a hot new LA restaurant that was partially inspired by that famed Thai destination. Although Jitlada lost its guiding light, Suthiporn “Tui” Sungkamee, last year, the chef’s sister Jazz Singsanong keeps his legacy alive at the restaurant. And while their menus are very different, Jazz is also a big fan of what Fijian-Australian chef Louis Tikaram is doing at his modern Thai restaurant E.P. and L.P. In this episode, we see them go shopping together at Thai grocery emporium Bangkok Market, and Jazz makes some mussels for Louis’s staff in his kitchen. The episode also includes footage of Jonathan Gold delivering some remarks about chef Tui at an event that was held just a few months before the critic died (the episode is dedicated to both Gold and Sungkamee). Beyond highlighting the legacy of Jitlada, this Migrant Kitchen episode tells a sweet story about how people from different backgrounds can form a bond over a mutual respect for the same cuisine. The gist: In a TV landscape that’s full of trend-setters likeChef’s Table, Ugly Delicious, and Salt, Fat, Acid, Heat, it can be easy to overlook the new season of an older food show like Top Chef. But Bravo’s culinary competition is definitely worth checking out right now, because the latest season is one of the best. Season 16, which just wrapped up last night and is now available to stream in its entirety, has an extremely talented and likable cast competing in an array of entertaining challenges. I would’ve been happy to see anyone (except for maybe two people) win the grand prize here. My favorites to root for this season were NYC-born, D.C.-based chef Eric Adjepong, who added West African elements to every one of his dishes, and San Francisco star Michelle Minori, who displayed a knack for creating surprisingly complex dishes on the fly. Most of the challenges were filmed in and around Louisville, Kentucky, but the season also featured a detour in Nashville, and three episodes set in Macau. Like Law & Order or Jeopardy! there’s nothing particularly “cool” about Top Chef these days, except that it reliably offers the same thrills every time you tune in. Have a great weekend everyone, and if you want to receive more recommendations straight to your inbox, please consider signing up for Eater’s freshest newsletter, The Move.